Ever since I began to fly fish in the early 1990s, wild brook trout have been very special to me. Wild brook trout can survive only in clean, clear and unpolluted waters – something usually only found in pristine wilderness locations. That alone was enough to attract me, but I became addicted to the way they aggressively smashed a mouse pattern, and was utterly enchanted by their appearance. Brook trout colors vary from dark green to a light brown with a distinctive marbled pattern (called vermiculation) of lighter shades across the flanks and back extending at least to the dorsal fin and often to the tail. They usually have a sprinkling of red dots, surrounded by blue halos along the flanks. The belly and lower fins are reddish, the latter with white leading edges. 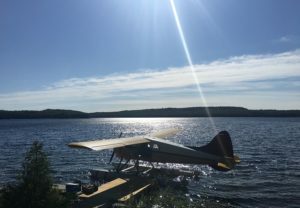 Many anglers mistakenly believe that the only places to fly fish for large wild brook trout is in remote wilderness areas, such as northern Quebec or Labrador, to which trips are usually quite expensive, costing $4000 plus flights, hotels and much more. But there is superb fly fishing for brookies in much nearer, easily accessible, and much less expensive places. The best of these is Algoma Country in northern Ontario, where brook trout, the region’s crown jewels, abound in both lakes and rivers. What astounds many anglers is that virtually every small stream and river you see off the roads in Algoma hold brook trout. In May and June you have excellent access to them, simply by staying in nearby motels, parking at bridges, and walking in with a backpack. It’s a great way to spend a spring afternoon doing a spot of exploratory fly fishing with a friend. All you need is a large scale map of Algoma to locate them. Every riffle and bend pool of these often overlooked streams seems to be home to a wild brookie, some as big as four pounds, which respond vigorously to dry flies and streamers. Stealth is of course critical. But if you want to tangle with the real trophies, it’s best to book into a lodge and use the services of an experienced guide. 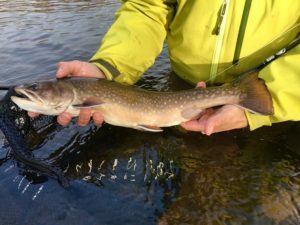 Many of these have brook trout in the rivers that run into or out of their main lakes, where fly fishing for brookies can be fantastic—not to mention the bonus of casting a streamer for big pike and walleye in the lakes. Our favourite lodges include: Esnagami Lake Lodge, Pullens Nagagami Lake Lodge, Kag Lake Lodge, and Tatnall Camp. However, the ultimate river fishing for brook trout is through Hearst Air Service on the famous Sutton River which flows into Hudson Bay. Very remote, very wild, but it offers outstanding fly fishing for brook trout of 18-23 inches on dry flies and mouse patterns. Brook trout are generally associated with river or small stream fishing. However, brook trout actually can be found in lakes and ponds throughout Canada and parts of the USA. In Algoma, a large number of lakes have excellent populations of brook trout. In fact, the largest specimens come from lakes, as there is so much food available and they don’t have to work hard to obtain it. Brookies of six, seven and eight pounds are regularly caught in Algoma lakes and I have seen pictures of 10 pound specimens. Most of these lakes can only be easily accessed from lodges which have small boats and canoes for the purpose. It’s also possible for fly fishers to take their own float tubes to some of them. Our favourites include Lodge 88, Mar Mac Lodge, Lauzon Aviation, Esnagami Lodge and Blue Fox Camp. 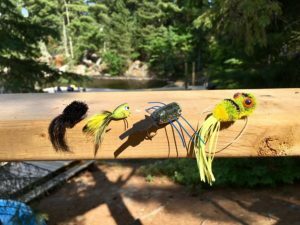 Blue Fox is unique, because this facility is totally focused on helping anglers connect with the huge brook trout they have in numerous small lakes in their area. This can be a critical factor when coming to Algoma brook trout fishing. 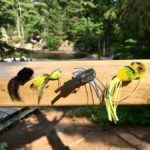 The more easily accessible brook trout fly fishing in the more southerly parts of Algoma is at its best in May and June, although some locations have excellent fishing in July and August. I strongly recommend that you ask your guide or outfitter about the best timing for brook trout at their facility. Usually the season ends either on the Labour Day weekend (the first weekend of September in Canada) or the 15th of September, depending on the region of Algoma you fish. 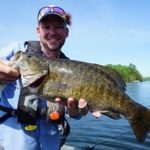 The end of August and early September can provide some of the best fishing, depending on the location and cooler air temperatures. 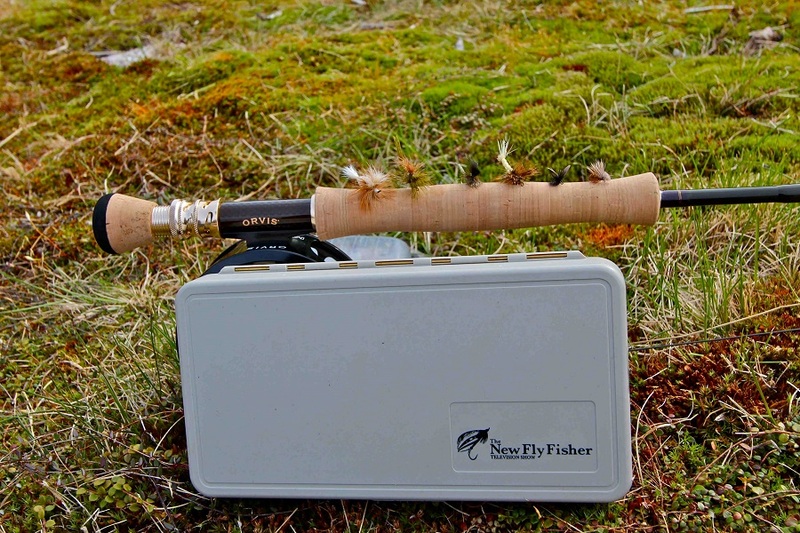 For fly fishing lakes, we recommend a five or six weight medium to fast action 8 ½ to 9 foot rod matched to a reel with multiple spools holding a variety of lines, including floating (preferably WF), intermediate for streamers and Woolly Buggers, and full sinking (type #3 or #4) for getting the fly down deep when the the fish are near the bottom in 8-10 feet of water. For river fishing, you have a lot of choice in terms of rods. Many anglers like to use 7-8 ½ foot rods (#4, #% or #6 weight)for small streams. These small streams are dry fly heaven and the action you wish to cast is totally up to you. Just keep in mind you often have to use a streamer or perhaps a nymph if there is no hatch happening. When casting mice patterns for big brookies, I like to stay with a 6 weight outfit to help cast these wind-resistant patterns. For bigger river systems, I strongly recommend you bring at least a sink-tip line (type III or IV) to cast streamers against the bank or near boulders and seams. Big brook trout will aggressively strike a streamer pattern, but you need to get your fly down to be successful. As versatility is always important, I recommend you bring a variety of rods and lines to match to the many and various conditions you’re likely to encounter. What flies to bring can present a bit of a conundrum, as hatches of mayflies and caddis vary so much based on the season on both rivers and lake, as well as between the north and the south of the region. 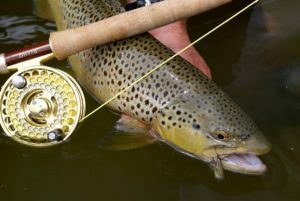 However, there are a number of generic patterns for dry flies that seem work all the time, which include: Goddard Caddis (sizes12-16), Black Gnat (sizes 12-18), Stimulators (orange or olive in sizes 8 to 16), Adams (sizes 12-18), Humpies (green or yellow sizes 8-14), and Salmon Bombers (brown, white or green in sizes 6-10). For streamers you have a lot of good options, as brook trout are not particular about the small fish they eat. Smelt are abundant throughout Algoma and patterns such as such Scotty’s McFly in sizes 4-8 work well, as do Gamechangers in white. Other types of smelt patterns also work well, as long as they are in the 4-6 inch range. The tried and true Muddler Minnow in brown or black works exceptionally well in sizes 2 to 10. Casting this fly out on a sinking flyline with short leader (2-4 feet) and retrieving it back with a slight twitch seems to elicit explosive strikes. 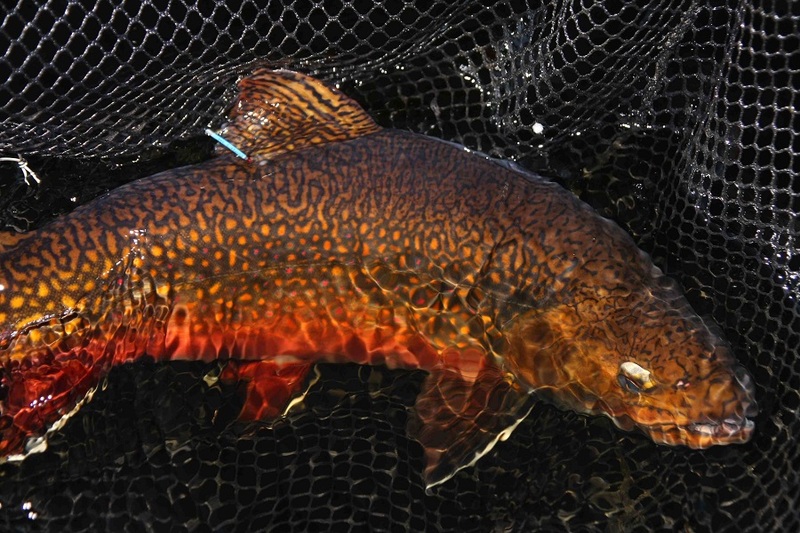 Of course, the king of streamers for brook trout is the Woolly Bugger. Black, tan, purple, olive, and even maroon, work well in sizes 2 to 10. Make sure you have some Krystal Flash tied into the tails, as that seems to help trout find your offering in tannic stained waters. If you have only one fly to bring anywhere, of course, make it a black Woolly Bugger, as it always seems to produce results! 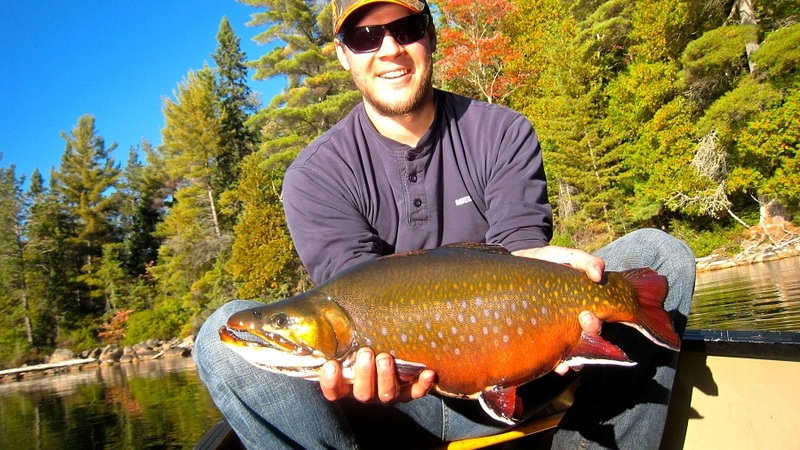 Exceptional lake fishing for big brook trout on numerous small lakes and streams. 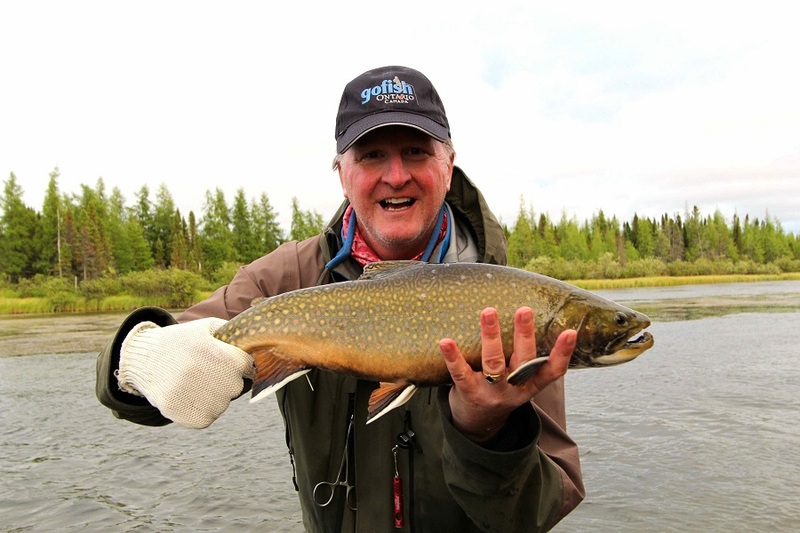 Eric Lund, the proprietor, has access to both lake and river fishing for brook trout in May and June at this fabulous lodge. 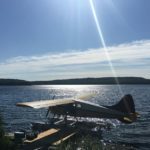 The folks at Lauzon have access to some incredible brook trout lakes where you bring your own food and stay at their comfy outposts. Outstanding fishing! 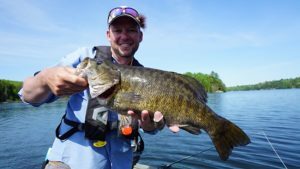 This exceptional lodge has some great pike and walleye fishing plus brook trout to five pounds in a small local lake with boat access. Best months are May and June. Great access to a small lake with boats for fat brook trout to five pounds, plus the bonus of big pike and walleye. There are numerous rivers in the region where this affordable resort is located that hold brook trout. Take a map and a backpack and start exploring! Hearst Air will fly you to the famous Sutton River (considered one of the best in the world) for an unbelievable brook trout river fishing expedition. Run by Malcom Leunenberger and his family, they have access to some outstanding brook trout in the river that runs into the main lake. The folks at this great location have guides who can take you to some exceptional river and lake fishing for brook trout. 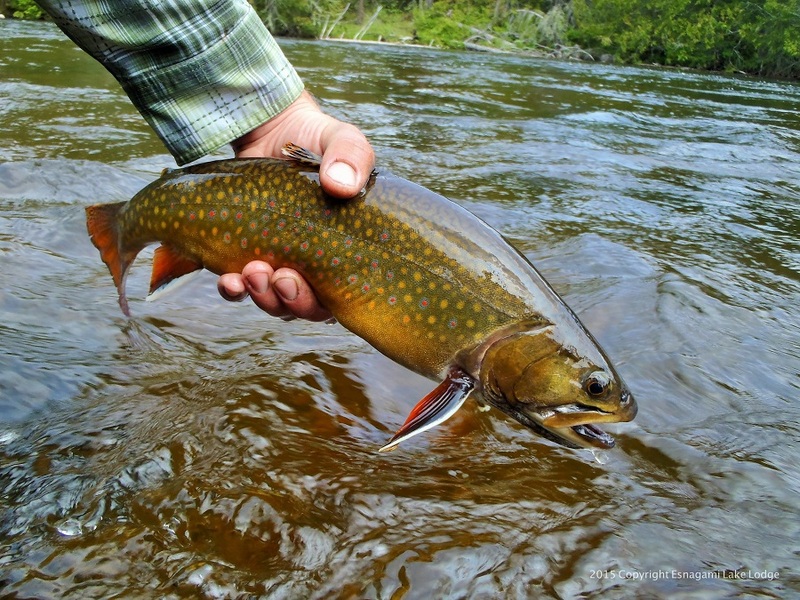 The lodge has two rivers with brook trout averaging three to four pounds—great dry fly action! Best months are May and June. 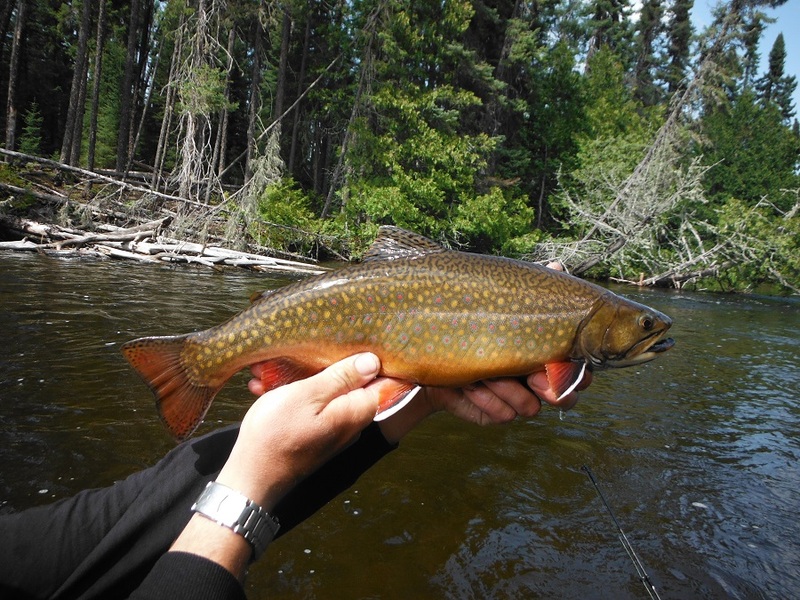 The proprietor, Brad, and his guides have access to some great brook trout fishing around Sault Ste Marie. Give them a call to discuss options. They have good access to a small river with great brook trout fishing. The best times are in June and July!